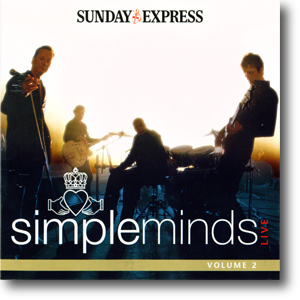 The following week, The Sunday Express completed the collection by offering the second live CD free with purchase of the paper. Again, no recording dates were given for any of the songs (although Sanctify Yourself was recorded at the T On The Fringe concert (28th Aug 2006)). And again, three bonus tracks were added to the CD by Austin Stuart Hanlin. As the paper had mixed up Jim's review of the CD, they printed all his comments about the music on both both discs. 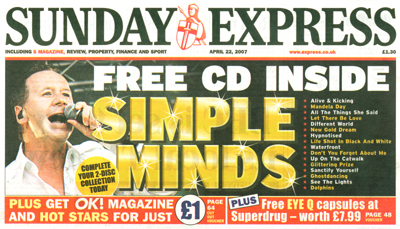 As the CD was offered free through a Sunday Paper, and not for resale, all the copies are marked as promos.